This is a backstrap loom with a section of unfinished owes cloth. 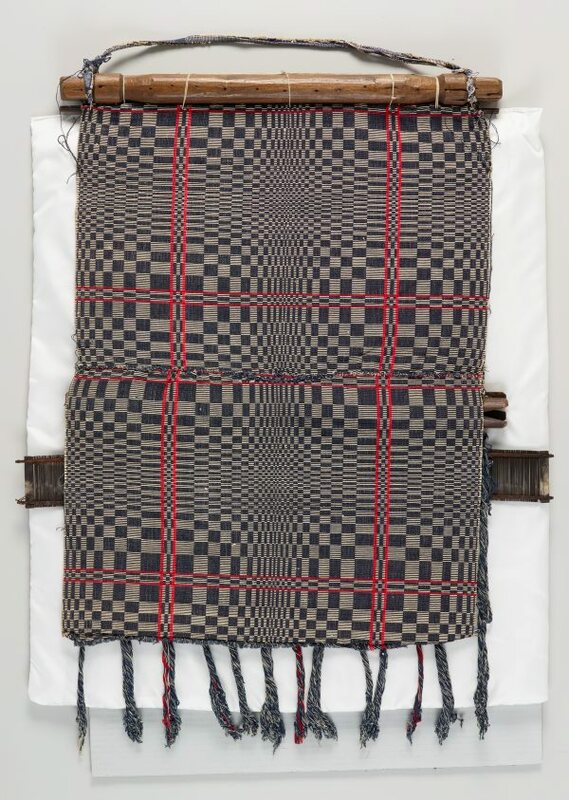 When backstrap looms are used, the weaver’s body acts as an anchor point. 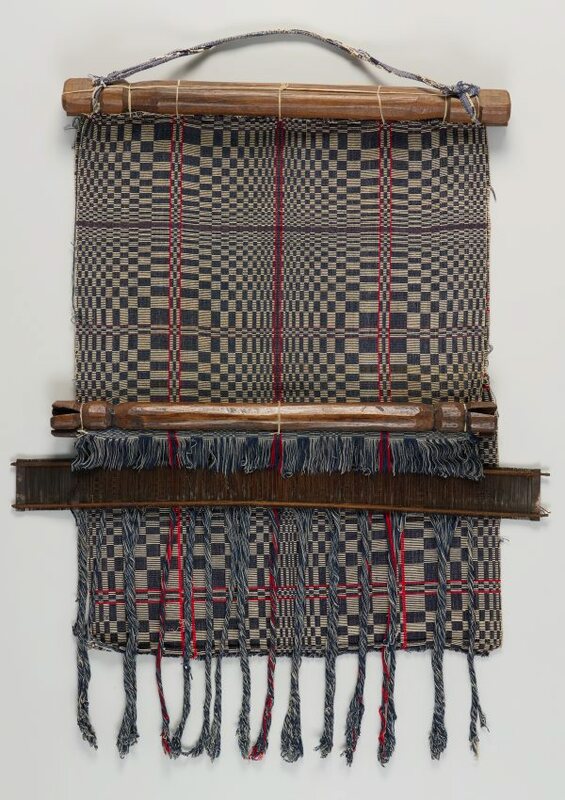 Usually one end of the loom is tied to a tree or a house beam and then a strap at the other end is stretched around the body of the weaver to create tension. This enables the weaver to thread the horizontal (weft) threads through and in-between the vertical (warp) threads. The highly optical patterning of this cloth is achieved by a continuous supplementary weft technique known as pinilian. The design itself is known as kusikos. It illustrates the constant movement of the whirlpools and whirlwinds that are intended to distract and pacify the wind god.